Campo Rico Group is dedicated to improving the lives of disadvantaged Spanish speaking people everywhere. Providing broadband communication in areas where none exists. Delivering new educational content. Connecting students across national boundaries. Facilitating better medical care. Helping when there is a natural disaster. Service will initially be provided in Puerto Rico and Cuba, linking them to education and medical facilities in the US, and will then be extended to other Caribbean islands and parts of Latin America. Campo Rico was established to improve the lives of Spanish speaking people everywhere. There are many ways this can be achieved - but they all depend on good communication. This is the fundamental aim of Campo Rico – to provide enhanced communication facilities for disadvantaged Hispanic people. The initial focus will be Puerto Rico and Cuba, but will be expanded in the next few years, to include the rest of Latin America. links to remote doctors and hospitals where needed. José Luis Rodriguez is the founder and CEO of Campo Rico Group Inc. (CRG Communications), a telecommunications company with the only commercial satel-lite teleport in Puerto Rico. CRG’s main goal is to connect the Caribbean, Latin America and the USA Latino community utilizing VSAT networks. 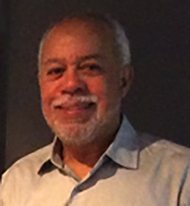 CRG is a member of the World Teleport Association, the Global VSAT Forum (GVF); and Mr. Rodriguez is GVF’s Caribbean Preparedness and Response Direc-tor. CRG has participated in various telecommunications forums, including the United Nation’s Emergency Telecommunications Cluster (ETC). CRG has been a key player in providing communications capability to a broad range of organizations in Puerto Rico in the aftermath of Hurricane Maria, such as health clinics, municipal emergency centers, police precincts, credit unions, com-munity-based organizations, agricultural enterprises, environmental organizations, religious entities, and small businesses, all of which provided critical support dur-ing the recovery period. Currently, Mr. Rodriguez is utilizing his knowledge, contacts, resources and expe-rience, to develop his concept of a Caribbean Preparedness and Response Centers (CPR), is Spanish (Centros de Preparación y Respuesta) which is a network of community organizations, governmental entities and business relying on an inde-pendent, innovative and resilient satellite-based emergency telecommunications system, for back up and business continuity. In order to secure the funding to build this emergency network, Mr. Rodríguez has organized the Coalition to Fund CPR, formed by major Puerto Rico associa-tions and organizations in the United States diaspora. Which is now engage in a getting the FCC to Fund CPR. The FCC announce recently that it will allocate Funding for various for restoration and broadband expansion in Puerto Rico. In the past, Mr. Rodriguez has been instrumental in getting US Congress and fed-eral agencies to make available hundreds of millions of dollars for telecommuni-cations infrastructure and services for Puerto Rico. Mr Rodriguez is the founder of the Hispanic Telecommunications Network (HITN), the first and still the only Spanish language PBS like network in the US and in Puerto Rico. By 2014 HITN reached a total 43 million homes, through the various cable and satellite systems nationwide. Over a 30 year period Mr. Rodriguez put together the largest portfolio of wireless spectrum that was valued at $550 million by a respected economist. The portfolio included 95 licenses of highly desirable spectrum, in over 80 markets in the US and a Puerto Rico.